imbusydoctorwho wrote: Still don't get why you need Micro transactions in a game like DMC? Because shareholders are assholes. Itsuno knows shareholders are assholes, however, and I'm willing to trust him and his track record on this one. Along with the people who have played the games. And not Jim Sterling, who is angry for anger's sake. Looks like crunchy fun. I've only ever played DmC before though and stylistically this looks a little like a step towards the drab (admittedly DmC has one of my all-time favourite video game looks). Also, the gameplay looks very weighty and DmC to me, though after how much people complained about that game I had always assumed DMC1-4 had played more akin to the deeper, silkier but flimsier feel of Bayonetta? Is that a DmC influence or a difference between DMC series in general compared with Bayonetta? 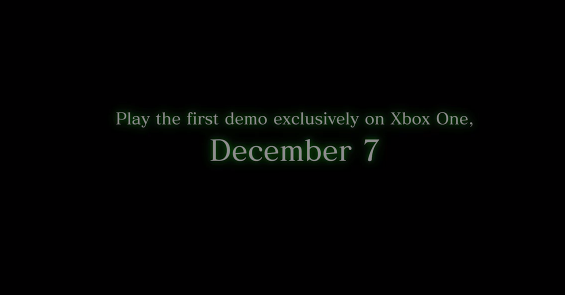 *yawn* It heavily reminded me of the previous DMC demo I played for five minutes. I just cannot stand the whole Earth being invaded by hordes of demons gooseberry fool. Especially when they look as naff as they do in these DMC games. Bayonetta did something similar but at least it had interesting designs going for its invaders or whatever the strawberry float they were. Really enjoyed the demo, love the style and I'm happy just looking badass mashing buttons. Think I'll get this when the price drops. Demo was alright but from what I've seen of the trailers the Dante gameplay looks 100x more fun than Nero and I guess most of the game is played with him? Mafro wrote: Demo was alright but from what I've seen of the trailers the Dante gameplay looks 100x more fun than Nero and I guess most of the game is played with him? It's mainly that Nero is generally simpler than Dante for demo purposes and can do more with relatively fewer tools, while Dante will have 4 styles he'll switch between and a bunch of weapons to also switch between. There's also the new Breaker system they'll want to show off. From what I've seen it should be somewhat balanced between the three characters, with some missions offering choices on which one to pick. I really did not enjoy the demo of this, the combat was super basic. Just out of curiosity, did you hit SSS? Really cool trailer, facial animation looks ace. imbusydoctorwho wrote: Really cool trailer, facial animation looks ace. Last edited by NickSCFC on Wed Mar 06, 2019 4:12 pm, edited 4 times in total. Cancelled my online preorder and I'm gonna trade in Metro Exodus towards it since I've pretty much rinsed that as much as I want. ... that is some outlier . Keen to play this but will wait for a big cost reduction.